Dr. Rossi began his career as a Periodontist at Boston University Goldman School of Dental Medicine in 1989. He completed his Master’s in Periodontology in 1992. Since 1993 he practices in his studies of Casale Monferrato and Genoa. He was an adjunct professor at several Italian universities (Genoa 1993-1996, Padua 1994-1995) since 2004 is a professor in the Master in Periodontology at Sapienza University of Rome. He collaborates with numerous research groups in the field of regenerative surgery and implantology and was author or co-author of numerous publications on national and international scientific journals. 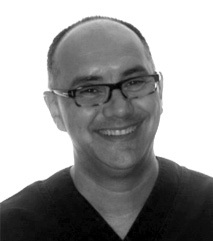 He is a member of the many international academies of Periodontics and Aesthetic Dentistry.